Thank you for your interest in adding a Supplier Profile on T-Net. If your company does not already have an approved Supplier Admin account on T-Net, please enter your company and personal contact information in the fields below to register a new supplier account with T-Net. No Upgrades Selected. Please click Edit if you wish to add an upgrade to your Supplier Profile. Basic company statistics and contact information (with Google Map), together with a brief overview of your company (up to 4,000 characters), and direct links to your company job listings, news releases and stock quote information (if applicable). A "Products" or "Services" Tab to display on your Company Profile (to directly promote your Company's specific products or services to the BC Tech Industry). Optional large "Skyscraper Ad" (160 x 600 pixels) to appear on your Supplier Profile page (on right side of page). 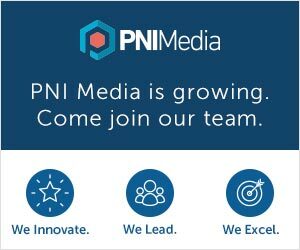 Complimentary Site Wide Banner Ad (468 x 60 pixels)to display on all pages on T-Net website (alternates with other sponsors, with an estimated 2-4 million banner views per year). I would like to subscribe to T-Net Direct, T-Net's weekly email newsletter covering the latest in the BC tech industry. Please select a username and password. You will be required to enter this information in future to access your account. 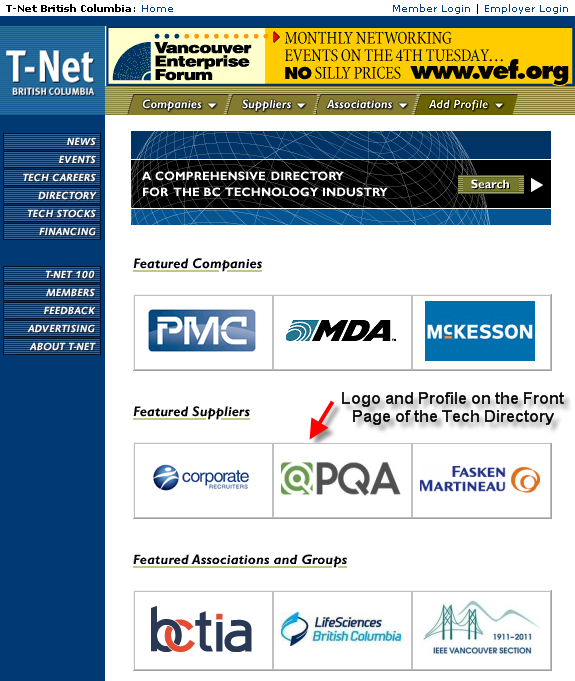 I verify that our company is an Industry Supplier to the BC technology industry and meets the criteria for inclusion in the T-Net Tech Directory (see criteria). I verify that I am the appropriate contact person and am authorized to act on behalf of my Company to post, edit and manage our publicly accessible Company Profile on T-Net. I have verified that our Company does not currently have a Company Profile listed on T-Net, and does not already have an Employer Admin account on T-Net (Otherwise, please login to your existing company account to create your Company Profile). 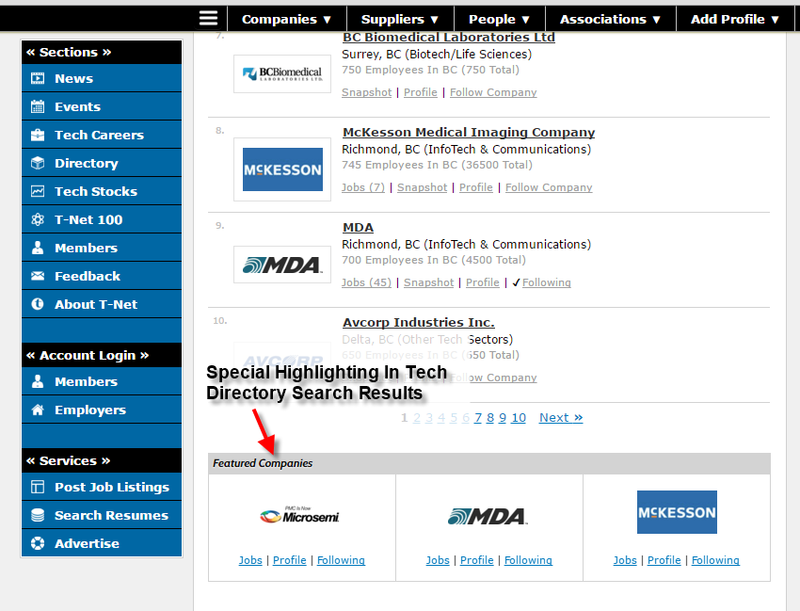 Display your company name in the exclusive "Featured Suppliers" pulldown menu under the "Suppliers" tab in the Tech Directory (to link directly to your company profile). Complimentary Site Wide Banner Ad (468 x 60 pixels) to display on all pages on T-Net website (alternates with other sponsors, with an estimated 2-4 million banner views per year).